Content is King. You’ve heard that mantra a million times. Problem is, content alone isn't the answer. As social networks like Twitter mature, so does the content your audience craves. It's no longer enough to tweet everything your eyes land on. Oh sure, in the early days, quality didn't always come first. But today, everyone wants a reason to click that follow button. And not only that, they want to know why your content is worth sharing. So what's the answer? More content and a higher frequency of tweets? Maybe, but more than likely: no. If you want to create content that breaks through and connects with your audience: It's time to implement a Twitter content strategy. Want to know how? 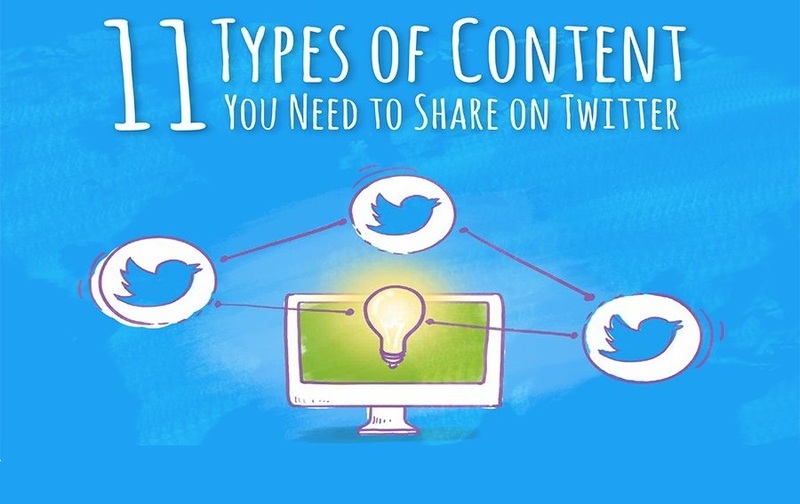 Let's take a look at the 11 types of content you should be sharing on Twitter.